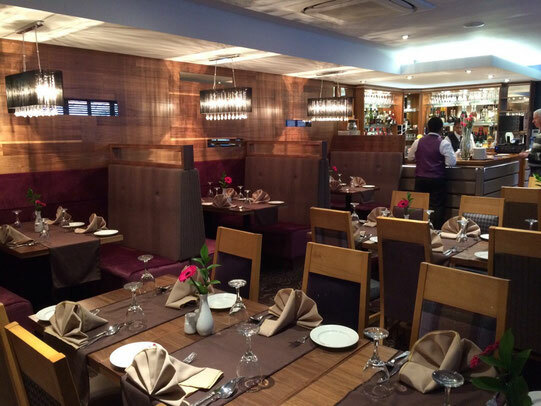 Guests at New Dilshad on Red Lion Street are invited to join the team for a traditional curry, or better still join them for their set menu of carefully selected dishes, served only when they’re ready. The New Dilshad restaurant’s set menu is the eatery’s premier dining experience, choose from a set menu from one, or two, or even four and sit back and let the kitchen select some of their finest dishes for you. If you opt for the New Dilshad set menus expect to spend the evening in the company of the restaurant’s knowledgeable, affable staff. Alvechurch’s traditional Indian restaurant the New Dilshad is home of some of Worchester’s best subcontinental food. The team at the New Dilshad are a welcoming bunch keen to share their love of Indian food with newcomers and expert curry fans alike. Head down to the New Dilshad any day of the week from 5pm or from 12pm on a Sunday. The restaurant is also open for private hire for guests that value the New Dilshad’s excellent curries and friendly service. Join our digital mailing list and get news, deals, and be first to know about events at The New Dilshad!